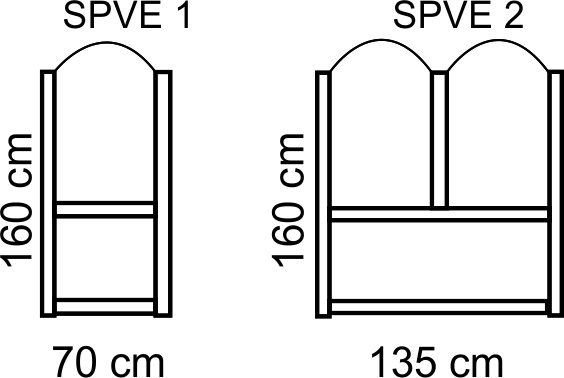 The screen is made as a modular aluminum skeleton (52 x 52 cm), hot painted, and it can be closed according to your choice with a glass panel or with a plastic panel. Both of them can be printed with your logo or custom images with a digital printer. It can be easily be assembled, disassembled or modified. We are at your disposal for creating a virtual project, for a visit at you destination in order to take the measures and for the assembly assistance. They can be used indoor and outdoor in order to separate the office space, or the smoking and non-smoking areas. * The price does not include the transportation cost. 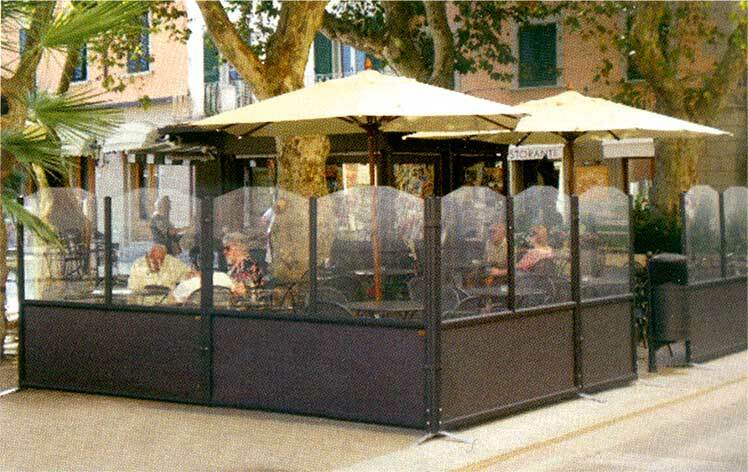 Modular wind screens are made so as to be assembled and disassembled easily without professional help. 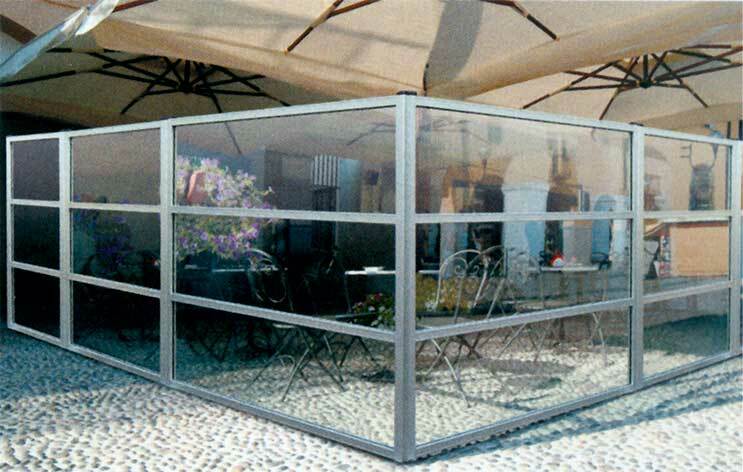 A terrace can be enclosed in a few hours. 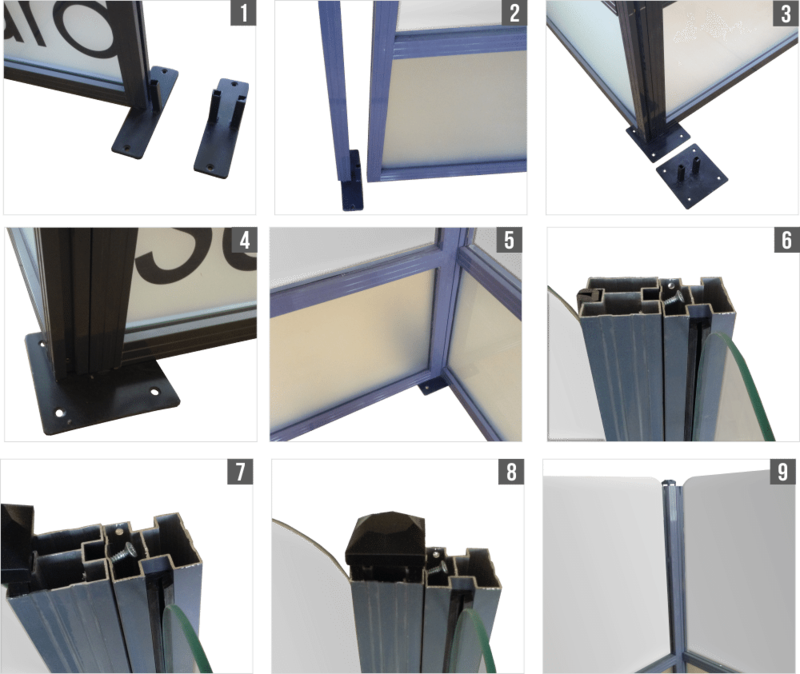 Modular wind screens are equipped with hardware support which facilitates assembling and supporting the modules, following the steps illustrated above. 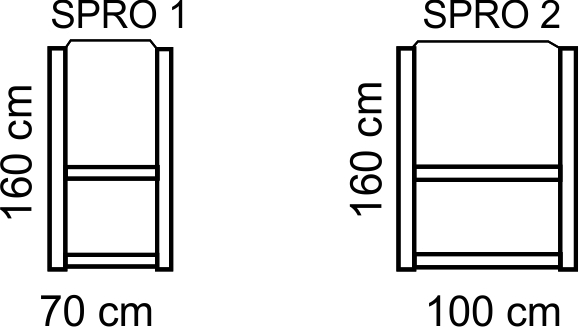 There are two types of connectors, the one in the first image connects linear modules and the one in image four is used for angular modules. At the top, the screens are easily screwed on, and the profile is elegantly closed with a plastic top.